Calf cramps is a very common disorder and many time it is episodic but sometime is nagging and almost occur every night and cause sleeplessness, forcing an individual to stand up or squeeze the calf for immediate relief. Cause when looked for is difficult to pinpoint and most investigations turn out to be normal. One need to treat these with simple ways to start with like calcium supplements and multivitamins and muscle tonics like L-carnitine. The results are unpredictable and many times they recur. 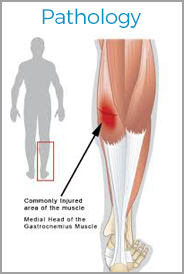 Sometimes they even lead to other muscle cramps and spasms affecting both upper and lower limb muscles. Quinine may be tried in resistant cases. 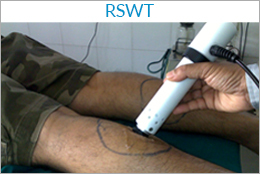 Shock wave therapy has a definite role to play and has given consistent results with long lasting benefits and sustained results in many resistant and chronic cases of many years of suffering.